(CNN) -- Israel started its biggest emergency drill in the nation's history Sunday to prepare civilians, soldiers and rescue crews for the possibility of war, the defense force said in a statement. Israeli Defense Minister Ehud Barak has expressed skepticism that Iran can be persuaded to abandon its nuclear ambitions. The five-day drill, nicknamed Turning Point 3, comes amid the nation's rising tensions with Iran. Officials said the drill will include simulated rockets, air raids and other attacks on infrastructure and essential facilities, and use of weapons on civilians. Everyone is expected to go to a protected place at the sound of sirens, the defense force said, adding that more instructions will be broadcast on a public channel. The move comes amid tension between Israel and Tehran. The Israeli government considers Iran's nuclear program as the dominant threat facing the country. Israel is publicly supportive of President Barack Obama administration's outreach to the Islamic state. Israeli Defense Minister Ehud Barak told Israeli Army Radio last week that he believes "that the chance the dialogue has of stopping Iran's nuclear efforts is very low." Israel has conducted emergency drills the past two years, but officials said this is the biggest so far. Prime Minister Netanyahu has appointed former Mossad official Hagai Hadas to the position of Israel's new envoy to the negotiations for the release of kidnapped soldier Gilad Shalit. Minister Avigdor Lieberman, Defense Minister Ehud Barak, Minister for Strategic Affairs Moshe Yaalon, Minister for Intelligence Services Dan Meridor, Minister-without-Portfolio Yossi Peled and Kadima MK Yisrael Hasson. Its six members represent all major coalition partners and the opposition. "Schalit is not a political issue," a PMO source said of the committee. It also contains a high concentration of security expertise, including two former IDF chiefs of staff (Barak and Yaalon), a former IDF OC Central Command (Peled) and a former deputy head of the Shin Bet (Hasson). from one of the espionage agency's top posts in 2006 and founded an internet start-up company. Netanyahu: "What do they want from me?" (FP-Thecable).Last night, shortly after U.S. Secretary of State Hillary Clinton told journalists that the Obama administration "wants to see a stop to settlements -- not some settlements, not outposts, not natural growth exceptions," Israeli Prime Minister Benjamin Netanyahu called a confidant. Referring to Clinton's call for a settlement freeze, Netanyahu groused, "What the hell do they want from me?" according to his associate, who added, "I gathered that he heard some bad vibes in his meetings with [U.S.] congressional delegations this week." (AFP) — Prime Minister Benjamin Netanyahu vowed on Sunday there would be no let-up in Israel's much-criticised blockade of Gaza, warning that the ceasefire with the territory's Hamas rulers remained fragile. "We are being asked to ease the living conditions of the population and allow goods and equipment in, but we have other priorities in the Gaza Strip," a senior official quoted Netanyahu as telling a cabinet meeting. "We do not want to strengthen Hamas, not by allowing them to rebuild their defences," he said. "The ceasefire is not complete and is very fragile," the official quoted Netanyahu as saying. "Hamas continues to smuggle through the tunnels." "We want to bring Gilad Shalit back home,We need to find a balance between easing the conditions of the (Gaza) population and easing on Hamas's ability to acquire more weapons." Sources inform "Globes" that Prime Minister Benjamin Netanyahu today reprimanded eight Likud MKs for their opposition to the VAT levy on fruit and vegetables and their general lack of discipline in recent weeks. 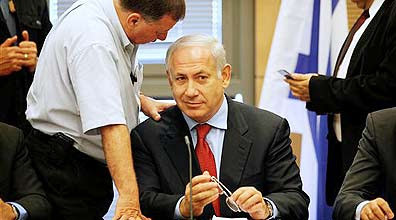 Immediately after the weekly cabinet meeting, Netanyahu together with coalition chairman Likud MK Zeev Elkin and director general of the prime Minister's Office Eyal Gabai met with the eight MKs and threatened to withdraw the proposed budget if they do not vote for the bill in its first Knesset reading. An angry Netanyahu said, "There are those of us who have to take decisions and there are those of us who must give support. Whoever hasn't got anything to say shouldn't talk and also shouldn't attack. If you haven't got anything good to say then don't say anything." Netanyahu is especially miffed that the MKs have conducted their struggle in the media, through letter and meetings that they have called. Netanyahu said, "You are eating away at the coalition. How can I talk about discipline when my MKs are not disciplined? "Yesterday, the fourth President of the State of Israel, Prof. Ephraim Katzir, passed away. He was a rare combination of personal ability and public mission. He divided his life between science and security, between voluntarism and education, between achievements and modesty. He was a very, very modest man. His life was one of struggles, challenges, successes and accomplishments, all of which were for the good of the State of Israel. Well before he became President, he had built an important layer in our national life in this country. As President, he continued this special combination and brought his many abilities and modesty to the institution of the presidency. The State of Israel and its citizens have lost one of their dearest sons, a man who did everything for the good of the nation. Even is his later years, confined to a wheelchair, he took care to attend various ceremonies and fly the flag – if it may be said, out of a profound commitment to the State, as an outstanding and genuine Israeli patriot. He was an historic figure who contributed to the development, security and establishment of the State of Israel. On behalf of the Government, we bow our heads and convey our condolences to the Katzir family. Today we commence the home front exercise in the Government. The home front exercise today is already considered routine. It took a while to plan, it is carried out on an annual basis and reflects the special way in which we lead our lives, which on second glace is not so routine. We are required to protect the State of Israel, its cities and its various installations, against missile attacks, rockets and other means. Our capability develops in parallel with that of our enemies, and perhaps the most important thing is that we adopt means, routines, methods of coping to allow ourselves to live in this land, this region, under any condition. I think that the very knowledge that the State of Israel prepares from exercise to exercise, improves its capabilities, is capable of better protecting its citizens – in itself ultimately distances the possibility that we will need to utilize these means. In any case, this is a routine action unrelated to any special event of one kind or another and is unrelated to any intelligence warning. It is linked to the reality which we must prepare for in order to defend our citizens." Prime Minister Benjamin Netanyahu met with eight Likud Knesset members for a discussion on the budget, but the meeting quickly shifted to political issues. "I don't know how you interpreted what I said at the faction meeting. You misinterpreted me. I don't know how you decided that I plan to remove communities," the prime minister said, promising to hold an urgent faction meeting on the issue next week. (IsraelNN.com) U.S. officials in the Obama administration said that U.S. President Barack Obama wants to give himself two years to solve the Israel-Arab conflict according to a “two state solution” and pushing for Jerusalem as an international capital, the London Times reports. CHARLES KRAUTHAMMER, SYNDICATED COLUMNIST on FOXNews 'Special Report': We have to start understanding that Abbas is an illusion. He is a fiction. He is a ghost. He is a potential president. I could go on, but you get the idea. I mean, even the presidency he holds is a dubious legality. And it is said of him that he doesn't even control downtown Ramallah where his offices are. So you got a man who doesn't have anything in his control. And the reason that years of negotiations he held with the previous Israeli leader, Ehud Olmert, went nowhere is because when Olmert offered everything, Abbas had nothing he can offer to back it up. .... think Obama wants in the Cairo speech to make a semi-dramatic announcement of some Israeli concession. And that's why I think he is pushing hard on settlements. The Israelis are saying we won't expand the territory it covers but if a family has children, it can build a house nearby within its property as a way to accommodate new people. A freeze means in which you don't allow that, means essentially a withering away of settlements, and it means Israel giving away a very important chip in return for nothing. NEWYORKTIMES: ....When Mr. Netanyahu visited the White House last week, Mr. Obama publicly pressed the Israeli leader to freeze settlements and commit to a two-state solution. Now he has set markers for Mr. Abbas, urging him to make greater efforts to rein in militants and halt incitement against Israel. We hope he will do the same for leading Arab states. For eight years, Arab leaders and the Palestinians complained bitterly because President George W. Bush wasn’t willing to invest in Middle East peace. Now that they have an American president who is willing, they finally have to do their part. (Haaretz).Tensions between Washington and Jerusalem are growing after the U.S.
administration's demand that Israel completely freeze construction in all West Bank settlements. Israeli political officials expressed disappointment after Tuesday's round of meetings in London with George Mitchell, U.S. President Barack Obama's envoy to the Middle East. Obama will make in Cairo this Thursday, in which he is expected to deliver a message of reconciliation to the Arab and Muslim worlds. Mitchell was joined at the London talks by his deputy David Hale, Daniel B. Shapiro (the head of the National Security Council's Middle East desk), and State Department deputy legal adviser Jonathan Schwartz. Netanyahu diplomatic envoy Yitzhak Molcho, Defense Ministry chief of staff Mike Herzog and deputy prime minister Dan Meridor. Herzog spoke to Mitchell and his staff about understandings reached by former prime ministers Ehud Olmert and Ariel Sharon with the Bush administration on allowing continued building in the large West Bank settlement blocs. He asked that a similar agreement be reached with the Obama government. Meridor spoke of the complexities characterizing the coalition headed by Prime Minister Benjamin Netanyahu, and said Washington's demands of a complete construction freeze would lead to the dissolution of the Netanyahu government. The Israeli delegates were stunned by the uncompromising U.S. stance, and by statements from Mitchell and his staff that agreements reached with the Bush administration were unacceptable. An Israeli official privy to the talks said that "the Americans took something that had been agreed on for many years and just stopped everything." The Israeli envoys said the demand for a total settlement freeze was not only unworkable, but would not receive High Court sanction. Tensions reportedly reached a peak when, speaking of the Gaza disengagement, the Israelis told their interlocutors, "We evacuated 8,000 settlers on our own initiative," to which Mitchell responded simply, "We've noted that here." Defense Minister Ehud Barak will travel to Washington today in an attempt to put further pressure on the Obama administration. "We want to reach an agreement with the United States on ways to advance the peace process," said a senior Jerusalem official. The U.S. stance, he said, "will stall the process and bring about tension and stagnation, which will hurt both Israel and the United States." Obama Tells Abbas to Stop Incitement. (IsraelNN.com) U.S. President Barack Obama met Palestinian Authority (PA) chairman Mahmoud Abbas Thursday and said afterwards that the PA must stop anti-Israel incitement. "I do share Pres. Abbas’s feelings and I believe that many Israelis share the same view, that time is of the essence, that we can’t continue with the drift… with the sense of increased fear and resentments on both sides,” Obama told press representatives. (Jpost).Senior Israeli officials were dismissive and defiant on Saturday night, following Palestinian Authority President Mahmoud Abbas's visit to Washington, highlighted by a report in which PA officials said the leadership is waiting for US pressure to bring down the Netanyahu government. The report in Friday's Washington Post came a day after Abbas's White House meeting with US President Barack Obama. "It will take a couple of years" for this American pressure to force Netanyahu from office, the Washington Post quoted one of Abbas's officials as saying, presumably bringing opposition head Tzipi Livni to power. "With all due respect to the United States, our strategic ally, we are an independent democratic country, and our political leadership is chosen by internal democratic processes," coalition chairman and Likud MK Ze'ev Elkin said on Saturday night. A senior government official recalled former foreign minister Abba Eban's declaration that the Palestinians "never miss an opportunity to miss an opportunity. Let that not happen this time as well." "It would be a pity if the Palestinian leadership threw away the very real chance that exists to move forward with this Israeli government on our proposed three-track approach of political, economic and security issues. If they decide they don't want to work to move the process forward, they'll have no one to blame but themselves," the official added. According to the report, Abbas and his leadership believe the government would likely fall if Prime Minister Binyamin Netanyahu surrendered to American demands for a total freeze on construction in West Bank settlements. "If it is true that Abu Mazen [Abbas] believes Livni will be a more comfortable negotiating partner for the Palestinians, then it shows the wisdom of the Israeli voter, who decided to place someone else in charge," Elkin declared. (Jpost).No meetings between Prime Minister Binyamin Netanyahu and Palestinian Authority President Mahmoud Abbas, or senior-level officials on either side, are expected until after the US completes its Middle East policy review, The Jerusalem Post has learned. This is true even though Netanyahu said in Washington that he was ready to begin negotiations with the Palestinians immediately, and even though Yitzhak Molcho has unofficially been appointed his envoy on the Palestinian issue. Molcho, along with National Security Adviser Uzi Arad and Intelligence Services Minister Dan Meridor returned Wednesday from London and a meeting with George Mitchell and his staff. The meeting centered on Iran and the settlements issue, and follow-up meetings are expected next week. Netanyahu is said to be interested in holding off on his first meeting with Abbas until various issues are settled with the Americans, including the settlement issue, and what authorities a future Palestinian state would have to give up. (Reuters) - The United States wants Israel to stop expanding Jewish settlements without exception, U.S. Secretary of State Hillary Clinton said on Wednesday, promising that Washington would push this point with its ally. Palestinian and other Arab officials have long argued that Israel's expansion of settlements on land it occupied in the 1967 Middle East war undermine efforts to negotiate a peace agreement to end the six-decade conflict. "The president was very clear when Prime Minister Netanyahu was here. He wants to see a stop to settlements -- not some settlements, not outposts, not natural growth exceptions," Clinton said at a news conference with Egypt's foreign minister. "We think it is in the best interests of the effort that we are engaged in that settlement expansion cease. That is our position, that is what we have communicated very clearly not only to the Israelis but to the Palestinians and others and we intend to press that point." this too. I will ask for your assistance later in terms of legislation. security needs on the other. Both these needs stem from unique situations. We had to introduce this balance in this budget - and we did so. existential needs of Israel, and I will not hesitate to do so. concrete and important achievements in the field of security. This was a summation of the topic of security. However, a moment ago I said that there is an opportunity here as well, and it may be an opportunity for peace. Up to this point, previous governments, including the one represented here on the opposition benches, did not succeed in achieving peace. They made statements, they promised, they made pledges, they discussed – but they did not achieve peace. On the contrary, peace disappeared under a heavy barrage of missiles and rockets. I believe we can try to advance peace in new ways with three approaches. The first approach is one of regional peace. We believe that cooperation with Arab countries in a circle of peace will strengthen us. It will provide content, stability and security to the Palestinians and to us. It was said that there is a new Middle East, even if one cannot see it, but it is different than the one people thought of. It is different because on the Middle Eastern horizon there are parties that endanger us all, and today the majority of us in the Middle East understand this. However, I believe that it creates an opportunity for us to expand the circle of peace, and I am pleased that President Obama sees this opportunity as well. It is important that we are joined by Arab countries other than Jordan and Egypt, which I not incidentally just visited. First and foremost, we want to strengthen the existing circle of peace, but we believe it can be expanded, even at this very moment. It can be expanded. We welcome President Obama’s efforts to advance steps towards normalization with Israel. I believe this is new and refreshing, and it is completely compatible with our point of view, and we will make great efforts in this regard. Secondly, there is a renewal in the approach that the reality on the ground must be changed. We are advancing economic projects in the Palestinian Authority in the fields of agriculture, industry and tourism, as well as other spheres of life. I believe we have a tremendous opportunity to secure investments from third-party countries in Europe, Asia and other places, including the Arab world and the Gulf. They tell me it is not acceptable; I tell you it is. Everyone understands this – they understand it in the United States, they understand it in Europe, they understand it in the Gulf, they understand it in the Arab countries surrounding us, the Palestinians understand it. They want it, and rightly so. We also want it, and we are advancing it in a practical manner. We will work to do those things that will bring about a change in the economic situation, and not only on the ground. Thirdly, we are in favor of advancing the political process with the Palestinians. In this regard, I wish to point out a central principle. The Government of Israel under my leadership is committed to the political and international agreements signed by the Governments of Israel, and we expect others to honor their commitments as well. We want an end to the conflict, and we want reciprocity in the claims on both sides and their implementation. Unfortunately, in this we are also being innovative. We should not have to innovate; it should have been obvious. However, when we are asked to recognize our international commitments, I say yes, and I want others to respect their commitments as well. We are prepared to act, and we will take concrete steps towards peace with the Palestinians. We also expect the Palestinians to take such concrete steps on their side, and it would be good if the Arab countries joined in the effort towards peace, and take both concrete and symbolic steps towards normalization, and not later, but right now. They are asking us to act now, and so the Palestinians and the Arab countries should also be asked to act now. This is the right approach; this is the approach we will take; and this is the only approach that will bring results much faster than you in the opposition brought when you were in the government, and much faster than you think. Opposition leader Tsipi Livni told Netanyahu," If there is something that you have succeeded in doing, Mr. Prime Minister, it is to make all Israelis concerned. There are hundreds of assistants, dozens of ministers, but no government and no vision. Is the prime minister without a vision and direction or someone who caves into pressure? Probably all these answers are right. This is a prime minister who we can say is afraid." Livni added, "Even today you are being stubborn about the wrong thing. Imposing Vat on fruit and vegetables is incomprehensible. Be a man and give in". Earlier Wednesday, Barak said, "Livni is bitter and frustrated and she would have been better off if she had joined the government – there she would keep quiet." Defense Minister Ehud Barak was overheard making some snide comments during Livni's speech: "Had we been able to bring her into the government, we would have been spared this boring show," he said. "When she was in the government she was silent at least. Look at what frustration and bitterness can do to a person." An aide to opposition Chairwoman Tzipi Livni said in response to comments made by Defense Minister Ehud Barak, "Once a chauvinist, always a chauvinist." the Government would assist in the implementation of these investments. Likud ministers are holding secret talks with Kadima's Number 2, MK Shaul Mofaz, to probe whether Mofaz would be willing to split from the opposition faction and lead a group of six other Kadima lawmakers to Likud. This is not the first time a split in Kadima has come up. However, this time, sources in Likud say the disappointment of many senior Kadima figures over chairwoman MK Tzipi Livni's refusal to join the Netanyahu government might make the split a reality. Senior Likud figures say that Netanyahu wants a safety net in place ahead of possible future coalition shake-ups to shore up his party in the coalition, and increase the size of his faction from 27 to 34 MKs. In addition, Likud sources say, Netanyahu will not give up his dream of splitting Kadima and is waiting for the opportunity to do so. 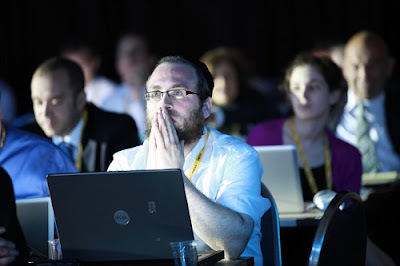 Likud is also quietly taking steps to make it easier for Kadima to split when the time comes. For example, on Monday Likud presented a bill to the Knesset that would allow MKs to leave their faction if one-third of the faction members wants to do so, or, if seven faction members want to do so. The bill is part of the coalition agreement. Current law allows for a faction to split only if one-third of its members want to do so. That would mean that to split from Kadima, which has 29 seats, at least 10 MKs would have to bolt the party. Another move to ease a possible split from Kadima is a pledge that the party's Knesset slate will continue to be elected via a party-wide primary, as it was in the last election, with no return to the situation in which the list was chosen solely by the central committee. Likud is also considering setting aside the practice of reserving places on its Knesset list for activists from the party's various branches, which would also increase the chances of election to the list of MKs who might coming on board from Kadima. (Haaretz).The Israeli government will abide by the terms of past agreements signed with the Palestinians though it will insist on reciprocity in future peace talks with the Palestinian Authority, Prime Minister Benjamin Netanyahu told a raucous session at the Knesset in Jerusalem on Wednesday. The premier told lawmakers and ministers that he had reached understandings with U.S. President Barack Obama on key defense issues. The Obama administration accepted Israel's position on Iran, the prime minister told the plenum. In reference to Iran, Netanyahu reiterated the importance of "spotting dangers in advance." "Our nation paid a huge price for failing to spot threats in advance," the premier said. "My job as premier is to protect the country's existential interests." Netanyahu added that he was eager to "bring Arab states into the circle of peace," a goal he says is shared by the Obama administration. "Bringing Arab states into circle of peace will strengthen Israel and bring security to the Palestinians as well," Netanyahu said. The premier responded to catcalls from Kadima lawmakers by accusing his predecessors in the previous government of failing to bring results in its talks with the Palestinians. "My peace policy will bring results faster than the government which was led by those sitting in the opposition today,We will insist on reciprocity in talks with Palestinians,in both the demands raised as well as their implementation." Netanyahu added that he was eager to advance economic initiatives in the agricultural field for the Palestinian territories. His government would seek to attract investments from the Gulf Arab states, Europe, and Asia in an effort to boost the Palestinian economy, Netanyahu said. Netanyahu said the Obama administration would also seek to advance "normalization" of ties between Israel and Arab government. 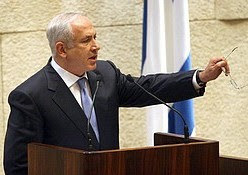 In response to criticism of his economic policies, Netanyahu said these were extraordinary times, and that Israel is "functioning better than most countries" under the harsh circumstances of the global financial crisis.
. "This government entered office seven weeks ago, in the midst of an economic crisis that was left untreated for a long time," he said. "Our goal was to first bring about stability, to bring a budget to the government within six weeks, and we did it," he added. The prime minister continued to say, "Our goal was to bring about unity as broad as possible with anyone who desired unity, and we did that also. All these things were the right things to do to lead to stability and growth for Israel's economy in the face of the global economic crisis that has not been treated." "Anyone who waked the government's halls knows how difficult our task was. We had to balance between two major needs that clash with each other – social and economic needs on the one hand, and security needs…We are in the midst of a global economic crisis, and we are operating better than the rest of the world," he said. Following the speech by Netanyahu, Livni came up to the podium and said: "You're a wonderful speaker, but your performance isn't all that." At the end of the session the Knesset approved Netanyahu's announcement with a majority of 63 votes in favor and 35 opposed. (Haaretz).Dennis Ross, the U.S. Secretary of State's special adviser on Iran, says in a new book that the United States will not make progress toward peace in the Middle East with the Obama administration's new plan. The book, written with David Makovsky and entitled "Myths, illusions, and Peace: Finding a New Direction for America in the Middle East," opposes the Obama administration's concept of linkage. The book is to be published by Viking Press next month. Contrary to the position of the president and other advisers, Ross writes that efforts to advance dialogue with Iran should not be connected to the renewal of talks between Israel and the Palestinians. Other senior officials in the Obama administration told Prime Minister Benjamin Netanyahu on his recent visit to Washington that Israeli gestures and the advancement of talks with the Palestinians will help the administration get Iran to suspend uranium enrichment. Because of Ross' position, his superiors at the State Department do not allow him to promote the book or be interviewed about it. Ross wrote the book with Makovsky, a former Jerusalem Post journalist who in recent years has been a fellow at the Washington Institute for Near East Policy, considered a pro-Israel think tank. The book was written before Ross took up his current position as senior State Department adviser. Ross' appointment has been controversial because he is an observant Jew and is considered a strong supporter of Israel. (Haaretz).Defense Minister Ehud Barak said Tuesday that the United States must be told that Iran's nuclear program and outpost activity in the West Bank are two unrelated issues. "We need to find a way to explain to the Americans that there is no link between outposts and Iran," Barak told reporters. "It's not as though the minute an illegal outpost is dismantled the Iranian will abandon their nuclear aspirations. Therefore, these issues must not be directly hinged on one another." "The Iranian threat does not face the State of Israel alone. Iran is threatening the stability of the entire region, as well as many European and Muslim states," Barak added. "The free world, moderate elements in the region and Israel see eye to eye on this threat. According to the defense minister, Israel is not in a position to issue ultimatums to the U.S. regarding its overtures to Iran for diplomacy. "We can only express our stance, that every dialogue be given a deadline and that comprehensive and effective sanctions are simultaneously prepared." Barak reiterated that Israel was not taking any option off the table with regard to Iran. "We mean what we say and we suggest others follow our lead,"
(Jpost).Prime Minister Binyamin Netanyahu cancelled a meeting with French President Nicholas Sarkozy scheduled for next week, reportedly amid anger at France for its position on the final status of Jerusalem. Additionally, sources in the Prime Minister's Office said that Netanyahu wanted to distance his recent - and highly publicized - meeting with US President Barack Obama from his relations with European countries. A PMO official confirmed that Netanyahu postponed his European trip because he believed preparations for the visit were incomplete. (Haaretz).Defense Forces Chief of Staff Gabi Ashkenazi told lawmakers on Tuesday he was preparing every possible measure Israel could take to thwart Iran's nuclear ambitions. "As chief of staff, my position is to prepare all the alternatives for dealing with the Iranian nuclear problem, which is what I am doing," Lt. Gen. Ashkenazi told the Knesset's Foreign Affairs and Defense Committee. "Iran is continuing with its program," the IDF chief added. "Nuclear weapons in Iran's hands could undermine the stability of the entire Middle East." "There is now a dialogue between the United States and Iran and we do not know at this stage whether it will bear fruit. The option of talks alongside sanctions is preferable to us," Ashkenazi said. FM Lieberman on Tuesday reiterated his support for the plan, which was approved with reservations by former prime minister Ariel Sharon in 2003, calling on Prime Minister Benjamin Netanyahu to adopt the initiative. "Of all the international initiatives, [the road map] is the alternative that best suits our interests," Lieberman told Army Radio. Imitating UK politics, Opposition leader Tzipi Livni wants to keep her party together in Opposition ,Kadima leader Tzipi Livni finally formed a "government" on Monday, seven months after failing to build a real coalition when she had the opportunity to do so in October,This time what she formed was a "shadow government," modeled after its namesake in the United Kingdom. The shadow ministers will head task forces of Kadima MKs that will set the party's agenda in their areas of expertise and respond to the government's actions on related issues, placing most of them in same position they held in the previous failed Kadima Gov't. We wish her alot of Success and many years serving in her Shadow Government, and trying to offer better solutions rather then personal attacks. Prime Minister Benjamin Netanyahu asked Intelligence & Atomic Energy Minister Dan Meridor to serve as the emissary heading the efforts to secure the release of kidnapped IDF soldier Gilad Shalit. Defense Minister Ehud Barak said Monday that new diplomatic overtures made by the United States to Iran were highly unlikely to halt the Islamic Republic's nuclear program. "I believe that the chance the dialogue has of stopping Iran's nuclear efforts is very low," Barak told Army Radio. "I also believe the Americans understand this. They only think that there is logic to this, even if the chance is low... in order to contend with what needs to, or is likely to happen in the future." 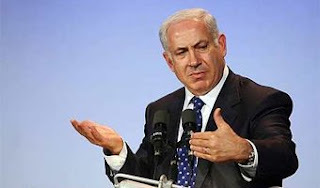 Meanwhile Prime Minister Benjamin Netanyahu said on Monday If Israel does not eliminate the Iranian threat, no one will. "Israel is not like other countries," Netanyahu told his Likud faction in a meeting which came one week after his meeting with President Barack Obama at the White House. "We are faced with security challenges that no other country faces, and our need to provide a response to these is critical, and we are answering the call." "These are not regular times. The danger is hurtling toward us?The real danger in underestimating the threat," Netanyahu said, addressing the threat of a nuclear-armed Iran. "My job is first and foremost to ensure the future of the state of Israel ... the leadership's job is to eliminate the danger. Who will eliminate it? It is us or no one." Despite the pleasantries and the politeness, there was hard talk on Sunday between a US congressional delegation led by Gary Ackerman, (D-NY), the chairman of the House Foreign Affairs Committee panel on the Middle East, and President Shimon Peres. Tired of being asked for concessions, Peres told his guests that the side making concessions was Israel, which was not getting anything in return from the Palestinians other than the rockets and mortar shells being fired from Gaza. After the Gaza experience, Israel could not be expected to withdraw from Judea and Samaria while rockets continued to threaten its citizens, he said. (Ynet,Haaretz).During a heated Likud faction meeting Monday, Prime Minister Benjamin Netanyahu made it clear that Israel will soon have to remove the illegal West Bank outposts as demanded by the US – and then focus its attention on the Iranian nuclear threat. "These are unusual times, and the threat is heading towards us. The most dangerous thing for a living organism is not recognizing the danger. "My job is to secure the State of Israel's future. This takes precedence over everything else, during the election campaign I also said that we are a law abiding country, and we will have to deal with the illegal outposts – hopefully by way of dialogue." "Our relationship with the United States is of great importance, Our situation today is different from our situation between 1996 and 1999. Our priorities must be inline with national security needs and we must unite in order to deflect the danger. The Defense Minister and I are working in coordination; he is not conducting an independent policy." Israel is not like other countries, We are faced with security challenges that no other country faces, and our need to provide a response to these is critical, and we are answering the call." "These are not regular times. The danger is hurtling toward us?The real danger in underestimating the threat, My job is first and foremost to ensure the future of the state of Israel ... the leadership's job is to eliminate the danger. Who will eliminate it? It is us or no one." "We reached important understandings ,we agreed with the US that the first and foremost goal must be preventing Iran from attaining nuclear arms." "Obama will be reassessing the Diplomatic process [with Iran] at the end of the year, and all options remain open in order to reach the goal [of curbing Teheran's atomic aspirations.]" "I told the president that Israel maintains its right to Self defense ,We renewed important strategic understandings. That's very important, We received aid on concrete needs of the defense system for defending Israel." "We agreed with the US on the need to initiate a peace process not only with the Palestinians but with a regional element, which increases the chances of success of our efforts to reach peace," The Americans said it is important to receive something in return from the Palestinians and Arab world, not only at the end of the process but also at the beginning. We said we don't want to control the Palestinians, but we have to maintain our security." "There were disagreements as there are between friends but we will work to bridge them, I emphasized in all the meetings that Israel is not like other countries. We are under threats no other countries are under, which must make our security a priority. The PM concluded his Address by retraining his call for Unity. (Haaretz).The differing Israeli and American approaches to the issue of West Bank settlements resemble a disagreement between good friends, Prime Minister Benjamin Netanyahu said on Monday. "Good morning and welcome to the Mayor of Jerusalem. Today we are hosting you and your deputy mayors. Today, we will devote part of the Cabinet meeting to strengthening Jerusalem. During the ceremonies marking the unification of the city, I underscored the importance that we ascribe to strengthening the heritage of Jerusalem in the history of Israel, and to preserving and developing the Temple Mount, the Western Wall and the Old City. These things are important to us in order to ensure that we are preserving our past. But this meeting will be mainly directed to assuring the future of Jerusalem as an open and prosperous city that embraces its future. This we must do by developing transportation, employment, housing, culture and higher education. All these things require Government investments and inter-ministerial coordination. Therefore, today we will establish a ministerial committee, to be chaired by me, and a director-generals committee to be chaired by Prime Minister's Office Director-General Eyal Gabai. We will enact a series of plans that we will advance in cooperation with the Jerusalem Municipality and with you, Mr. Mayor. I would like to give one example of something that we will do. We would like to create centers of culture for the entire population. When I was a boy, not far from my residence in the Talbiyeh neighborhood, there was a certain closed compound that was used a hospital for people with Hansen's disease. As children, we did not really go near it. Dan Meridor certainly remembers this closed compound. I went there once when it was already abandoned and I discovered a 19th century architectural gem with an impressive garden and a structure worth preserving, one of the finest I have seen in the country, and not just in the country, but in the world. We will take this compound and rehabilitate it and give it to the Jerusalem Municipality. In coordination with the JNF, we will turn it into a cultural center and a center for the arts, which will create an additional attraction in Jerusalem and its vibrancy. I would like to reach a situation in which the trend of leaving Jerusalem for Tel Aviv is halted and perhaps even reversed, with all due respect to Tel Aviv. We want to preserve Jerusalem's past and ensure its future as a city and mother in Israel. Thank you." (Israelmatzav).If Strategic Affairs Minister Moshe ("Boogie") Yaalon can be presumed to speak on behalf of Israel's government, that government gave American President Obama a Bronx cheer on Israel's Channel 2 on Saturday night. "Settlements are not the reason that the peace process is failing, they were never an obstacle, not at any stage," Ya'alon told Channel 2 News. "Even when Israel pulled out of [Palestinian] territory, the terror continued. Even when we uprooted [Jewish] communities, we got 'Hamastan.' That is why I propose that we think about it - not in slogans and not with decrees." According to Ayalon, "we will not halt the construction in the settlements within the framework of natural growth. There are people here who are living their lives, raising children. Housing is required ? it wasn't housing that has prevented peace." In reference to the illegal West Bank outposts, which Israel has vowed to evacuate and has begun to do so, Ya'alon stressed that "the government will not permit illegal settlement, as we've proven with our actions this week." "[U.S. envoy to the Middle East George] Mitchell will come, and we'll talk to him. I suggest that Israel and the U.S. don't set a timetable. We won't let them threaten us," Ya'alon added. "From the banks of the Potomac in Washington it is not always clear what the real situation here is," Ya'alon concluded. "This is where Israel must step in and help her ally understand the situation." (Ynet).Labor Chairman Ehud Barak told cabinet on Sunday that his party backs the two-state solution, but said he was "concerned that the Palestinians are speaking of two states but not two peoples." During the weekly cabinet meeting, which focused on the evacuation of illegal Jewish outposts in the West Bank, the defense minister said "what we have in common is a small piece of land (referring to Israel), and we don’t anyone to take a bite out of it. We have a responsibility to maintain the security of our citizens and of the Jewish nation. I say this because historic and fateful issues are on the table." As for the evacuation of the illegal outposts, Barak said "the Israeli government must live up to its commitments, including those made to the US." Referring to the US' demand that Israel halt all settlement expansion, including construction stemming from natural growth, the Labor chief said "there cannot be a situation whereby a father of two who bought a 54 square-meter apartment (about 581 square feet) and then decides to expand his family will be forbidden from adding two rooms to the flat due to an injunction relayed by the US. This makes no sense." (Ynet)- US Secretary of Defense Robert Gates said Friday that President Barack Obama had asked him to update the plans for the use of military force against Iran which were prepared during former President George W. Bush's term. In an interview to NBC television's Today show, the American defense secretary explained that "presidents always ask their military to have a range of contingency plans available to them. And all I would say is that, as a result of our dialogue with the president, we have refreshed our plans and all options are on the table." (Ynet).Prime Minister Netanyahu recounted during a government meeting that during his recent visit to Washington he told American officials, "Imagine that six missiles were to hit Washington. We have been hit by 6,000, and we don't want to repeat this". Regarding the dispute with US President Barack Obama Netanyahu said, "When we reach an agreement on the foundation, we will reach an agreement on the terminology." projects that met the criteria outlined in the agreement. promises made during the Sharon administration. Prime Minister Binyamin Netanyahu expressed concern during his talks in Washington last week that Hizbullah could gain considerable strength in the upcoming Lebanese elections and possibly put together a Shi'ite bloc that would control the country. According to government sources, Netanyahu described Hizbullah control of Lebanon as a "dangerous" and "worrisome" possibility that needs to considered very seriously. This is a scenario that Netanyahu has been warning about in private meetings in recent weeks. Lebanon is scheduled to hold its elections on June 7. (Haaretz). Prime Minister Benjamin Netanyahu told his cabinet on Sunday that his government will not establish new settlements in the West Bank, though he did say that existing settlements ought to be allowed to expand due to "natural growth." Netanyahu is under stiff pressure from the United States to halt settlement activity on lands claimed by the Palestinians. The U.S. considers settlements - home to some 280,000 Israelis - obstacles to peace. The premier said his government was committed to upholding the law in the West Bank, a reference to his government's plan to dismantle unauthorized settlement outposts in the territories. Defense Minister Ehud Barak said Sunday that 22 illegal outposts in the West Bank would be torn down, and warned that settlers would be evicted forcefully if they resisted. "The 22... have to be dealt with now in a responsible, appropriate manner, first of all, exhausting all efforts at dialogue and if that proves impossible, then unilaterally, using force if necessary," he said. (Ynet).PM Netanyahu can breathe with relief, at least for a few more months: The White House announced Friday that US President Barack Obama would not be presenting an American peace initiative for the Middle East during his upcoming speech in Egypt on June 4. White House Press Secretary Robert Gibbs was asked about the issue following media reports that the plan would be presented soon, following Prime Minister Benjamin Netanyahu's visit to Washington earlier this week. The American spokesman clarified that the speech itself, which is still being composed in Washington, would be a broader speech about relations with Muslims worldwide, and that the president did not intend to present a Mideast peace plan. Gibbs did note that Obama could not address the Muslim world without referring to the issue, but added that it was incorrect that the speech would focus on it. (Aluf Ben-Haaretz). This week's meeting between Prime Minister Benjamin Netanyahu and U.S. President Barack Obama was marked by a lack of surprises. The meeting was thoroughly prepared in advance and each leader knew what to expect. Obama will give dialogue with Iran a chance until the end of the year, and Netanyahu agreed to discuss with the U.S. administration a freeze on Jewish settlements in the West Bank. These issues will be the focus of diplomacy in the coming months. All the rest is scenery, like the demand that the Arab countries begin normalizing relations with Israel, or issues like "the two-state solution" and "the recognition of Israel as a Jewish state." Netanyahu was very impressed by Obama's grasp of details, even though he himself has a whole world's details to worry about. He was not aloof and I was not complacent, Netanyahu told an aide after the meeting. Obama is not George W. Bush, who contented himself with reciting a few basic discussion points and saw the world in a simplistic way that hid a lack of intellectual confidence. Nor is he Bill Clinton, who liked to impress his Israeli interlocutors with a detailed knowledge of Jerusalem's back streets, and who still surprises people with his photographic memory. Obama studies the materials and gets down to the nitty-gritty in discussions, but he comes across as more of a forest man than a tree man. He aims for the goal, drawn in broad strokes. He called for a stop to settlement activity, but he will leave to his aides the discussion on whether the closing off of a balcony constitutes new construction. His meeting with Netanyahu was all business. That also suited the prime minister, who doesn't go in for small talk or sports chat, and prefers to discuss policy and history. There were no gestures of personal friendship. Obama's words of praise for the prime minister were aimed mainly at the future, discussing how Netanyahu "has both youth and wisdom [Netanyahu demurred on the question of youth] ... and I think is in a position to achieve the security objectives of Israel, but also bring historic peace. I'm confident that he's going to seize this moment." Translated from American euphemism, this means: "You'd best follow the path I'm outlining." Obama wants peace in the region, with Iran curbed and an independent Palestinian state. This is what he is going to outline in his Cairo speech on June 4. Netanyahu summed up the visit thus: He and Obama agreed on the goal of preventing Iran from attaining the ability to produce nuclear weapons, and he agreed to start talking with the Palestinians immediately and widen the circle of peace so the Arab states will move toward normalization. There was no agreement on the settlements or the phrase "two states for two peoples." It was decided to continue the discussions at working levels on all issues, whether there was agreement or not. Netanyahu received a strong commitment to Israel's security in Obama's public statements and in the private summations, which promised to maintain Israel's "nuclear ambiguity" and not to endanger it in new initiatives for global disarmament. The American summation, as described by columnist David Ignatius in The Washington Post, was that Obama was "upping the ante" on Netanyahu. The prime minister had wanted progress with the Palestinians to be conditional on progress with Iran; he was forced to accept progress on both tracks and give a chance to Obama's planned dialogue with the Iranians. 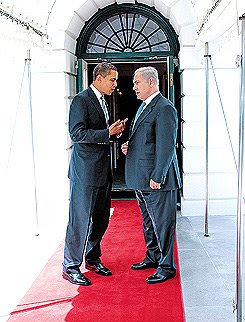 Obama took time to explain to Netanyahu why he wants to speak with the Iranians, and what about. As he sees it, Bush tried isolation and boycotts and achieved nothing, while dialogue will strengthen the international front against Iran. It's not clear what Netanyahu heard from him about the "other options" that America would examine should the dialogue fail or not even get off the ground. Netanyahu is talking about a "historic opportunity," because Israel and the Arab states share concerns about Iran. But the concerns are not identical. Israel is worried about the Iranian nuclear program and the Arabs are worried about Iran's regional strength and its undermining of the regimes in Cairo, Riyadh and the Gulf emirates. The Saudis and the Egyptians aren't counting the centrifuges and the grams of enriched uranium the way the Israelis are. They are content with a warning that if the Shi'ites in Iran have nuclear weapons, the Sunnis in the region will obtain them, too. Otherwise they are more concerned about terror and subversion. America is trying to reassure them by reinforcing its military forces in the Gulf. The Arab governments though, like Israel, want to know what America will do on the day the dialogue with Iran fails. Obama's stance is realistic: He repeated the word "interests" 13 times. America's interests, Israel's interests, regional interests, even Iran's. He did not mention the "occupation," "Palestinian rights" or advancing democracy and freedom in the Middle East. From his perspective, the two-state solution speaks to U.S. interests, and Israel is being asked to accept this, just as Israel expects American support for its security interests. Netanyahu appeared tense and impatient in his meeting with Israeli journalists after he left the White House. This wasn't because of Obama; he spoke calmly with his people at Blair House and told them it had been a good meeting with the president. But his body language changed the moment he sat down with the journalists. He replied in short sentences, and after about half an hour asked whether there were any more questions. His aides interrupted him from time to time. It appears Netanyahu has not forgotten the way the media treated him during his previous term in office and his years in the opposition. Facing the Israeli reporters, he went on the defensive. Two hours later, facing U.S. commentators, Netanyahu was much more relaxed, feeling at home in diplomatic English. (Ynet).France accused Prime Minister Benjamin Neyanyahu on Friday of prejudicing the outcome of the Middle East peace process by declaring that Jerusalem would forever be Israel's undivided capital. "The declaration made by the Israeli prime minister yesterday in Jerusalem prejudices the final status agreement," Foreign Ministry spokesman Frederic Desagneaux told reporters in Paris. Knesset Member Ofir Akunis (Likud) said in response to the French criticism over Prime Minister Benjamin Netanyahu's vow that Jerusalem will forever remain Israel's capital that "the Israelis don't agree to divide Jerusalem, just like the French won't agree to divide Paris." According to MK Akunis, "Our policy in every agreement is that Jerusalem will remain under Israel's sovereignty." "To President Obama, may this book that guided our People through the years of time, Light your way, and help you lead the World to an era of lasting Peace". *Barak and his ministers praise Netanyahu and his Cabinet colleagues on every possible occasion, like they have never done before, especially when it comes to Netanyahu. *0ver 2 month that the southern border is quite, 1 Kassam on sderot this week. *Egypt was the first arab Country to invite Netanyahu for a visit and is acting against Hamas smuggling and terror plots. *Netanyahu's visit to the US strengthen his political base and achieved from Obama some important understandings on Iran that is not a danger only to the Region and a timetable for talks, and a understanding that the PA must act too according to the roadmap and the Arab countries to start showing positive act towards Normalization with Israel. *The Durban summit and the diplomatic victory over Iran's president. *The budget approved by majority of the Cabinet, and Netanyahu forcing the Finance department to drop all cuts that hurt the lower class,and a agreement reached with the unions and avoiding strikes. And that what differs him from other people and their opinion. (Interview on reshet bet this morning). United Jerusalem is the capital of Israel. Jerusalem has always been – and always will be – ours. It will never again be divided or cut in half. Jerusalem will remain only under Israel's sovereignty. In united Jerusalem, the freedom of worship and freedom of access for all three religions to the holy sites will be guaranteed, and it is the only way to guarantee that members of all faiths, minorities and denominations can continue living here safely. ....The greatest hardships, exiles and difficulties in history could never dissuade us from pursuing the realization of the Jewish people's dream of generations – the establishment of a state in the land of Israel, with Jerusalem as its capital. This was the wish of every Jew in exile, at every community and in every prayer: "next year in built-up Jerusalem". I believe that only the reuniting of Jerusalem under Israeli sovereignty would enable us to quickly fulfill the second part of Isaiah's prophecy: "they shall beat their swords into plowshares…nation will not lift sword against nation and they will no longer learn how to wage warfare". Barak praises current Government and PM Netanyahu: "He has the adulthood and the discretion". (Ynet)Ehud Barak in secret conversations....."Netanyahu, Leiberman, Meridor, Yaalon, all are serious people that are connected to the reality. In the previous government there was no serious discussions. Olmert suffered from arrogance,Livni has not yet ended her seminar,bar-on is a politician, and Daniel Friedman is a man of genius, but didn't really understand about what the discussion was, this time is completely Different". Reguarding the Prime Minister, Barak thinks that Netanyahu is able to take on hard fatefulness decisions, He also is convinced that in the moment of truth, Netanyahu will not miss the opportunity to promote a peace agreement. "Netanyahu not a ideological flathead, he is not a superficial person and is not seriousness, His problem is not making decisions, but the political composition of his government and of his party ", he says. "Netanyahu feels that he lost the previous time becuase he did not strengthen his political base, He does not want to repeat this same mistake, that's why he is very sensitive. But you got to remember that In his previous term he pushed through right courses and made decisions that are not in routine ,And now too he understands the challenge, He has the adulthood and the discretion". 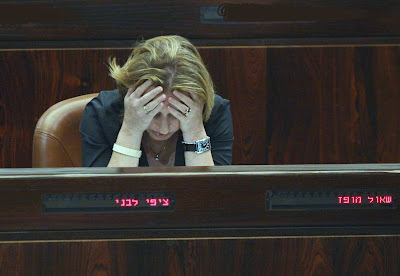 Tzipi Livni in contrast Barak cannot take. "She talks about two states to the two nations, but this is recitation ", he says in glimpse disparages. "If everybody would say this, then what ? The Iranians will cease there Nuclear ? The Palestinians will bow and say 'Salam-peace' and Hammas will relax? (Haaretz).Some 23 percent of Israelis would consider leaving the country if Iran obtains a nuclear weapon, according to a poll conducted on behalf of the Center for Iranian Studies at Tel Aviv University. Some 85 percent of respondents said they feared the Islamic Republic would obtain an atomic bomb, 57 percent believed the new U.S. initiative to engage in dialogue with Tehran would fail and 41 percent believed Israel should strike Iran's nuclear installations without waiting to see whether or how the talks develop. "The findings are worrying because they reflect an exaggerated and unnecessary fear," Prof. David Menashri, the head of the Center, said. "Iran's leadership is religiously extremist but calculated and it understands an unconventional attack on Israel is an act of madness that will destroy Iran. Sadly, the survey shows the Iranian threat works well even without a bomb and thousands of Israelis [already] live in fear and contemplate leaving the country." (Ynet).The consequences of Iran acquiring a nuclear weapon would be "calamitous" and major powers must act together to prevent it, the top US Military officer said on Thursday. Admiral Mike Mullen's remarks came the day after Iran's president announced the country had tested a missile that analysts said could hit Israel and US bases in the Gulf, a major source of crude oil for the United States. The United States and other Western powers are concerned that Iran could combine elements of its uranium enrichment and missile programs to create a nuclear weapon, although Tehran denies it intends to do this. "I'm one who believes that Iran getting a nuclear weapon is calamitous for the region and for the world," Mullen, chairman of the US Joint Chiefs of Staff, told the US Senate Foreign Relations Committee. "It then, in my view, generates neighbors who feel exposed, deficient and then develop or buy the capability themselves," he said, suggesting Iran's acquisition of a nuclear weapon likely would trigger a nuclear arms race in the Middle East. But Mullen did not suggest the United States should take military action to prevent Iran from acquiring nuclear weapons. "Major leaders, internationally, have got to come together to arrest this growth or the long-term downside for the people in the world is really, really tragic and drastic," he said. PM Netanyahu attended the annual Jerusalem day ceremony celebration at Mercaz harav and was welcomed with a warm and enthusiastic crowd singing the famous song "lebinyamin amar", Netanyahu repeated his comittment and promise earlier today and assured the attendees to overcome any pressure and not make any concession on Jerusalem. "Jerusalem is the eternal Capital of the Jewish People, Jerusalem is unified and will never be Divided again,No power in the world will prevent of us to defend the State of Israel and Jerusalem","Our people's unparalleled affinity to Jerusalem has spanned thousands of years, and is at the basis of our national renaissance. It has united our people, secular and religious people alike, The sites that are holy to us will always remain under Israeli sovereignty," the Prime Minister added. Here is what one of the attendees had to write:" .....As he entered the packed auditorium the band struck up the music and the room full of students began singing. The room rocked with the joy expressed by these students and their rabbis. When the singing subsided the Prime Minister declared "Jerusalem will never be divided." If you thought the assembled were loud as he entered the room, they seemed restrained in comparison to the singing and clapping that greeted the PM's declaration". Iran's major newspapers attacked U.S. President Barack Obama after he met with Israeli Prime Minister Benjamin Netanyahu. Kayhan, which is close to Iranian Supreme Leader Ali Khamenei, stated that Obama submitted to Netanyahu when he called Iran a global threat, not only a threat to Israel, and even hinted that he would comply with Israel's demand to restrict talks with Iran. According to the paper, Iran did not receive a proposals package from Obama's staff on the nuclear issue, and it will present its own proposals to the 5+1, not to Obama, in the near future. Jomhouri-e Eslami stated that the Netanyahu-Obama meeting exposed Obama's absolute dedication to Israel as a Jewish state, and added that it would be naïve to expect change in U.S. policy in the region. PM Netanyahu is expected to attend the ceremony and give his Remarks expressing his commitment to a Undivided Jerusalem and as the Jewish Capital. (JTA) -- Nearly three-quarters of Americans say their country won't be safe with a nuclear-armed Iran. In a poll released this week, 71 percent of Americans say the United States won't be safe with a nuclear Iran. Seventy-nine percent said if Iran acquired a weapon, it was likely to provide it to terrorists to attack an American city. A slightly larger number, 80 percent, said Iran was likely to fire a missile at Israel. The survey of 600 likely voters was conducted May 8-9 by McLaughlin & Associates and has a margin of error of plus or minus 4 percent. Respondents also reported a 41 percent net favorable rating -- somewhat favorable or very favorable -- of Israeli Prime Minister Benjamin Netanyahu. Eighty-two percent of respondents said the United States should be concerned about the security of Israel, and 57 percent said Israel would be justified in attacking Iranian nuclear facilities. Approximately the same figure, 58 percent, approved an American attack on Iranian nuclear facilities. Jerusalem Day celebrates the conquest of the city during the 1967 Six Day War, before which Jordan controlled east Jerusalem, while Israel had the western section. Shortly after the war, Israel annexed east Jerusalem. "I stand here today… saying what I said in my visit to the US: Jerusalem will never be divided again. Only Israeli sovereignty over the city would ensure the freedom of religion for the three faiths, and it is the only thing that can guarantee that all minorities and congregations could continue living in it,"
"United Jerusalem is Israel's capital. Jerusalem was always ours and will always be ours. It will never again be partitioned and divided", said Prime Minister Netanyahu, to the sounds of roaring applause. "Only under Israeli sovereignty will united Jerusalem ensure the freedom of religion and freedom of access for the three religions to the holy places," Netanyahu added. This week's White House summit meeting between President Barack Obama and Prime Minister Benjamin Netanyahu was more positive than what has been portrayed by the news media, Israel's top diplomat said on Thursday. Foreign Minister Avigdor Lieberman said on Thursday that Israel and the United States see eye-to-eye on a final resolution to the Palestinian issue, and that "the argument is about how to get there." In an appearance before industrialists in Tel Aviv, the foreign minister said Washington and Jerusalem agree on the overall strategic assessment of the geopolitical situation in the Middle East. Advertisement The U.S. and Israel both seek to "halt Iran or deny Iran in attaining non-conventional weapons, stopping a dangerous [nuclear] plan which threatens the entire world, and identifying Iran as the main problem, as an agent of instability in the Middle East, irrespective of the nuclear issue," Lieberman said. The foreign minister added that Tehran provides support to terrorist organizations. The foreign minister said that both Israel and the U.S. share the view that Israel ought to maintain its qualitative edge that prevents its neighbors in the region from closing the gap in military technology. "On the Palestinian issue, there is agreement as to the final destination," Lieberman said. "Everyone wants to see security, economic prosperity, and stability. Perhaps there is a tactical disagreement as to what is the best way to attain these goals. So there is much more in common [with the U.S.] and much more positive points. The meeting was much more positive than what one is led to believe." Lieberman denied the West Bank settlements obstruct a peace agreement with the Palestinians. "I always hear people trying to portray Jewish settlement in Judea and Samaria as an obstacle to peace ... I ask, what was before 1967 when there wasn't a single Jewish settlement ... but there was no peace either," he told reporters in Tel Aviv. (Haaretz).Prime Minister Benjamin Netanyahu and Defense Minister Ehud Barak have agreed on a plan to evacuate illegal outposts in the West Bank, mainly those located on Palestinian land, within weeks, Defense Ministry sources told Haaretz Wednesday. The sources said Barak intends to dismantle a number of outposts out of 26 illegal ones. "It is up to him entirely, and on the time and circumstances he sees fit. Netanyahu won't make difficulties. They're in sync," a source said. Ministers, including those from Likud, said Wednesdaythat Netanyahu probably promised United States President Barack Obama in their meeting that Israel would dismantle outposts soon. (poligazette).New Israeli Prime Minister Benyamin Netanyahu proved to be tougher than U.S. President Barack Obama expected. During their conversation earlier this week about the Middle East crisis, specifically the Palestinians-Israel problem, Netanyahu refused to play along with Obama’s grand plan. As we are used of Obama by now, he did not take the time to treat America’s most important ally in the region with the respect and appreciation other presidents have. There was a conspicuous lack of praise for his 59-year-old Israeli visitor, whom he said had the “benefit of having served” previously as prime minister and for having “both youth and wisdom”. The meeting overran to two hours, suggesting that the two sides had struggled to find a way of presenting a unified face to the watching world. Both are in a terribly difficult position. Obama knows he cannot side too much with the Palestinians. If he does, he is in trouble at home. On the other hand, Netanyahu realized long ago that Obama is no friend of Israel. At the same time, he too cannot afford to alienate him too much. The result: both men talk for hours, achieve nothing, and have a difficult time convincing anybody that they get along well. Those who love both the United States and Israel, and who believe that Israel is a vital ally of the West in the Middle East can only hope the two men will grow to like or at least trust each other in the months ahead. The Prime Minister's Office public relations chief Ron Dermer:The media coverage and focus on two states for two peoples issue, instead of dealing with more essential issues, is " stupid and childish ". The prime minister sounded largely contented as his plane touched town at Ben Gurion Airport this afternoon, and he told reporters that he felt the visit had yielded progress on a number of important points. "There is an understanding between the United States and Israel on the Iranian issue, that the development of nuclear arms must be prevented," Netanyahu said. "President Obama has made clear that the diplomatic efforts will not be limitless, and there is an understanding that Israel retains the right to defend itself." As for the Palestinian track, the prime minister said that it was "agreed that peace talks can begin immediately. But I stressed that any peace agreement would have to accommodate Israel's security needs. We also agreed on the need to involve other Arab nations in the peace process, including Syria. The Arab states must also make tangible gestures, not only Israel and the Palestinians." Prime Minister Benjamin Netanyahu said upon returning to Israel that he and US President Barack Obama had reached a number of understandings during their meeting. "In the subject of Iran we agreed that the development of a nuclear weapon must be prevented. President Obama said the period of dialogue was not unlimited and we also agreed that Israel reserves the right to defend itself," Netanyahu said. A top official in Prime Minister Benjamin Netanyahu's entourage, upon their return from Washington, called the two-state solution "childish and stupid". The official also said Israel would continue construction in the major settlement blocks, despite US President Barack Obama's demands. (Ynet).US President Barack Obama's plan to present a new Mideast peace initiative, that will reportedly include making east Jerusalem the capital of a future Palestinian state, was at the center of Wednesday's Knesset plenum session on Jerusalem Day. Acting Prime Minister Silvan Shalom said, "Jerusalem will not be divided. Jerusalem will forever remain the eternal capital of the State of Israel. This is not a promise, this is a fact." Shalom, who was standing in for Prime Minister Benjamin Netanyahu, who is on his way back to Israel from Washington, added, "For every single Jew, Jerusalem is not just a capital city. "Jerusalem is the beating heart of the Jewish people. Jerusalem is a symbol. Jerusalem is protected by the current government and previous governments' clear policy. We will never give up Jerusalem. Never." The minister continued to say that "we disagree on many matters, but there is one thing that the overwhelming majority of us agree on without hesitation: Keeping Jerusalem as the State of Israel's eternal capital. There are no two Jerusalems. There is one Jerusalem. Jerusalem will never be up for compromise." (Ynet). – A group of 76 US senators sent a letter to President Barack Obama Tuesday in which they expressed their "desire to see peace between Israel and its Arab neighbors" while stressing the need to take into account the "risks the (Jewish state) will face in any peace agreement." The letter, signed by senators from both the Republican and Democratic parties, does not mention the disagreements between Obama and visiting Prime Minister Benjamin Netanyahu over the peace process,but does state that " without a doubt, our two governments will agree on some issues and disagree on others, but the United States friendship with Israel requires that we work closely together as we recommit ourselves to our historic role of a trusted friend and active mediator." The letter was sent shortly before Netanyahu was scheduled to conclude his visit to Washington. The American Israel Public Affairs Committee (AIPAC) supported the senators' letter, which also called on Obama's administration to "continue to insist on the absolute Palestinian commitment to ending terrorist violence and to building the institutions necessary for a viable Palestinian state living side-by-side, in peace with the Jewish state of Israel. "The more capable and responsible Palestinian forces became, the more they demonstrate the ability to govern and to maintain security, the easier it will be for them to reach an accord with Israel. We encourage you to continue programs similar to the promising security assistance and training program led by Lieutenant General Keith Dayton, and hope that you will look for other ways to improve Palestinian security and civilian infrastructure," the letter read. The senators concluded by expressing their hope that Obama "will promote far greater involvement and participation by the Arab states both in moving toward normal ties with Israel and in encouraging moderate Palestinian elements. Everyone in the region has a stake in the success of these negotiations and should contribute to a lasting and comprehensive resolution." A similar letter is being circled in Congress, and so far 200 representatives have signed it. (talkradionews).Netanyahu did not shift his stance on the two state solution which would allow the Palestinians to have their own legitimate territory and the Israelis could keep most of theirs. Such was the conclusion of former United State Institute of Peace President and CEO and former U.S Ambassador to Israel Samuel Lewis and former Israeli Ambassador to Jordan and the European Union Oden Eran following the analysis of President Obama and Prime Minister Netanyahu’s meeting today. The meeting gained mixed reviews after the analysis of the success of the meeting was observed. The meeting was the first between the two nations since President Obama’s election and was significant as it signaled a continuation in the relationship between the U.S and Israel despite the change in the American administration.